It’s not as easy as it looks like when it comes to planning a trip. No matter how easy it might sound, planning a trip always has several factors which get overlooked. 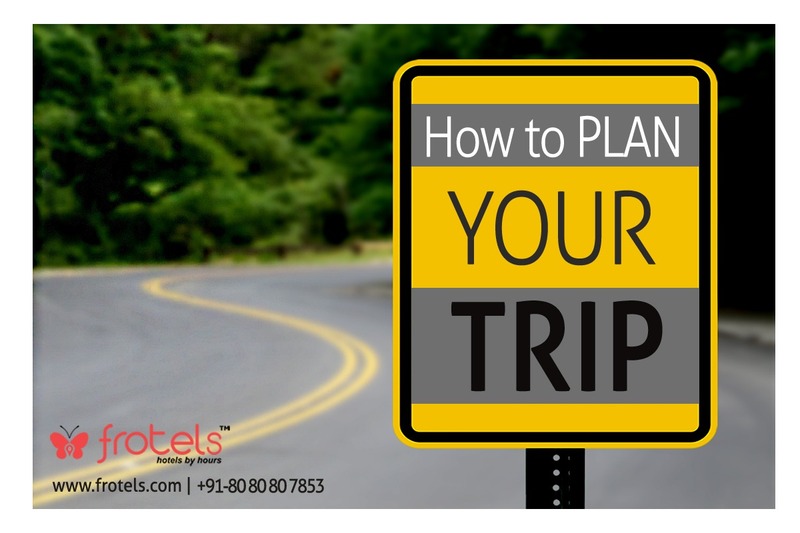 Here are some tips by Frotels, which include ideas like hourly hotel booking options, which help you execute an amazing trip. Every trip-plan starts with a simple urge of excitement. People, in this excitement, forget to look at other important things. Hence, it should be taken care that you should thoroughly research about the place and plan your travel accordingly. While planning, take care that you also check things like traffic in the route and weather. Some other things to check are, the best time to visit a particular place and local news or upcoming events in the particular place. Once you are done with planning the trip, it’s the time to pack. Never ever carry unnecessary luggage with you. It is always advised to carry only necessary items. Just in case, something goes wrong with your planned route or location, always have a backup plan for how you’ll manage it. In case there’s an issue with your hotel booking, you can use Frotels to book your, hourly stay or full day stay, anytime.